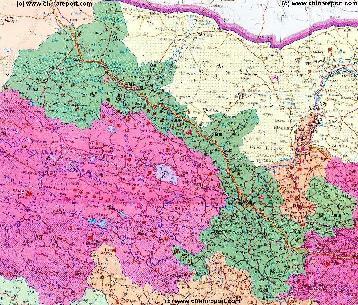 The Zhangye (Ganzhou) Report Maps Index gives acces to all Maps relevant to Zhangye and wider Area of the Hexi Corridor in Western Gansu Province, as used and/or produced by ChinaReport.com. Please use these Maps to find your way more easily around the City and Area's many Monuments and Landmarks. Find the location of small Zhangye (Ganzhou) Prefecture and all other Prefectures of Gansu Province of China (PRC). A Full Google Earth Supported Map of Zhangye by Google.com. 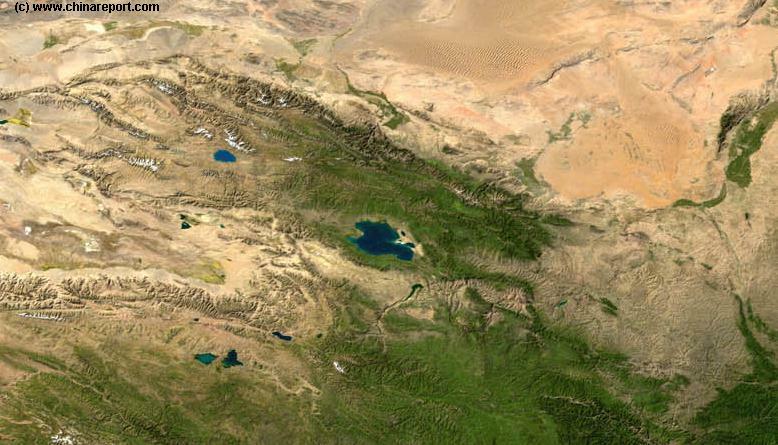 The China Report introduced on Levels of its Online Publishing's in April of 2009, including Gansu Province. 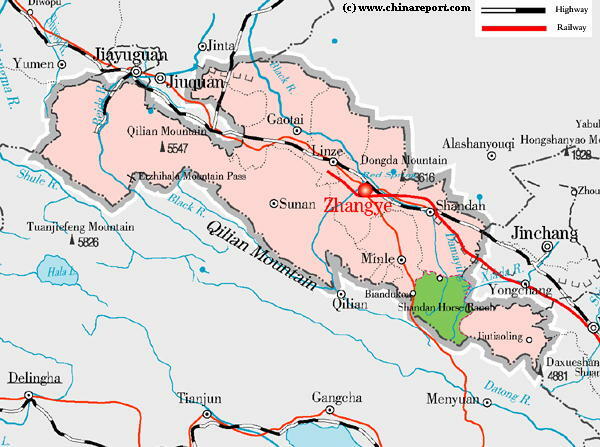 Adjacent Map gives direct access to the City of Zhangye Map by Google. 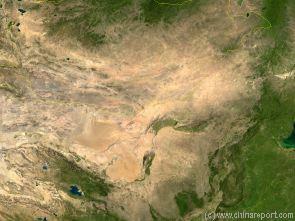 Geographic & Historic Maps on Zhangye, Silk Road. National Highway 312 (Shanlin expressway or Lanzhou-Urumqi Highway) and related Regions of Gansu Province. 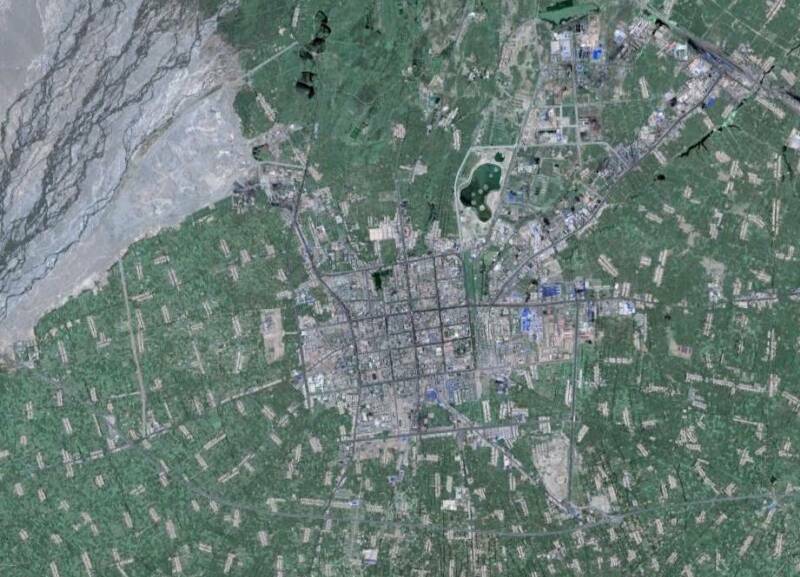 Please browse around the Town of Zhangye and wider Area using our Geographic & Historic Maps. Find out more about the City and Area through our many Photographic Reports on the main historic landmarks and Monuments and their rich history. 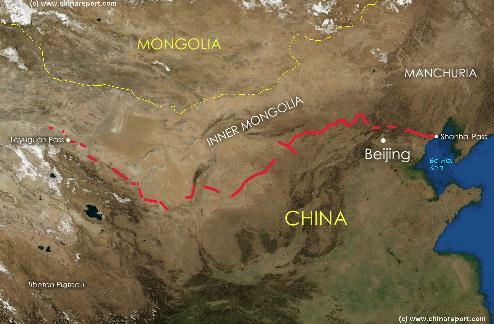 A Geographic Overview Map of Zhangye City Prefecture within the Hexi Corridor of Western Gansu Province. Click the Satellite Image to Go to a Full Version Image & Map. 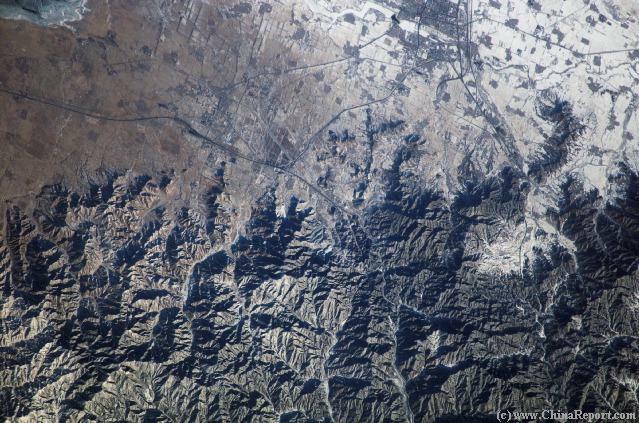 A Satellite Image of Overview of Zhangye Town with in the Upper-Left corner the flow of the Hei He (Black River) Coming from the South to South-West. Due to damming upstream the outflow is significantly reduced as is clearly visible. Click the Satellite Image to Go to a Full Version of Image & Map.